It’s often a wonder how something can look so fantastical and wonderful but be so tremendously boring at the same time. Taking a journey to Neverland should never leave one checking their watch to see how much time there is left in the atrocity before them. 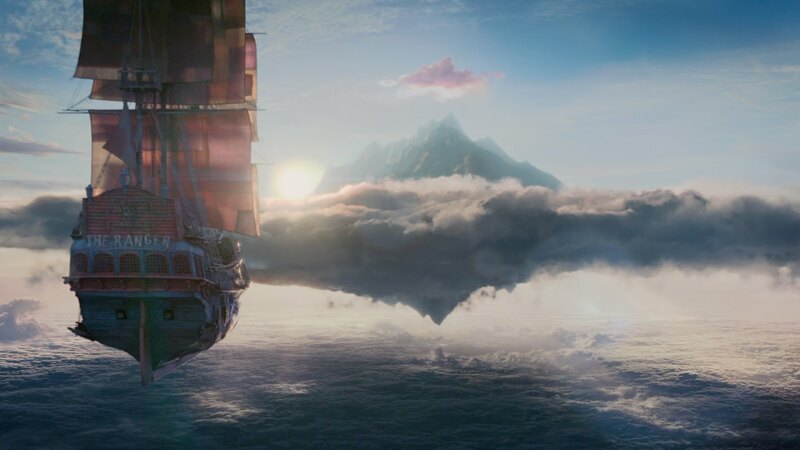 The new trend of updating classic tales has become a hit or miss genre; Pan lands on the side the filmmakers undoubtedly didn’t want to be on. Peter (Levi Miller) is an orphan, stuck in a miserable orphanage in London during World War II, who just so happens to have a profit-type destiny with a mother named Mary (hitting the nail a bit too much on the head there). Peter is kidnapped and taken to a mysterious land, where the pirates sing Nirvana and harvest Pixie Dust from a grizzly mine. The pirates and slaves alike are lead by the wicked Captain Blackbeard (Hugh Jackman). There isn’t much going on throughout the runtime but the brief glimpses of some production design appear to be the only standout. And while this is true, Pan is truly beautiful at times, what does beauty mean if it represents a hollow shell of a movie? Acting wise, the film isn’t terrible, but certainly not great either. Hugh Jackman is extremely over the top, almost as if he were performing on stage instead of the screen. 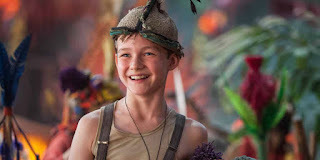 Levi Miller is decent as Peter, but that’s all he brings, being decent. Rooney Mara, probably the whitest woman they could find, is miscast as the Native American princess Tigerlily. And finally we have Garrett Hedlund as the young James Hook. His strange accent gets in the way of an already strange performance as the future dastardly pirate Captain Hook. The true failures of the film boil down to poor direction from Joe Wright. The pace is often jumpy and off-kilter, while possessing little in terms of anything new or unique. The dialogue from screenwriter Jason Fuchs certainly doesn’t help, with so many nudge-nudge moments it becomes tiresome. So what did you think of Pan? Have you seen it, what did you think about it, and how much better is Hook than this? Comment below and let me know and as always return to I Am Sam for weekly reviews.